I have a Christmas tag to share with you today, made with Ewe-N-Me Printables’ Cocoa/Treat Envelope – Holiday Kris 101. I love this vintage Santa image. 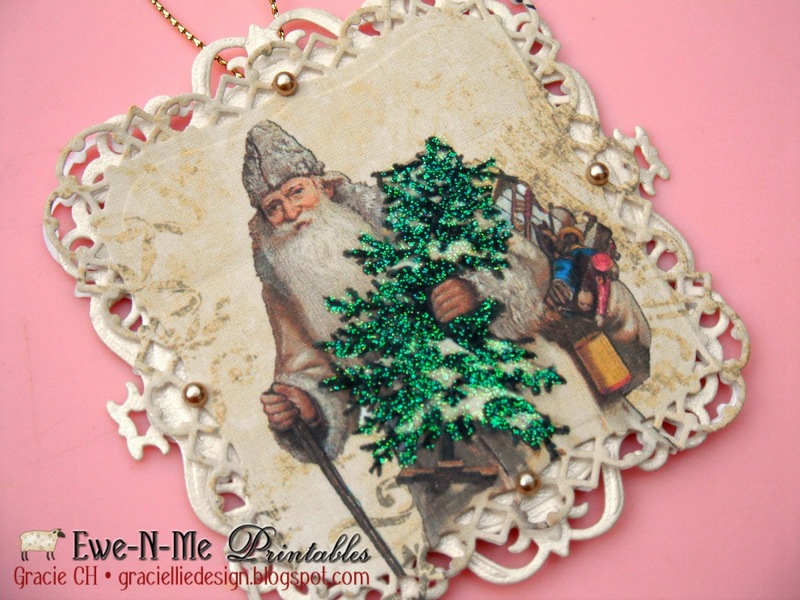 I printed the Holiday Kris 101 image and die cut the Santa using a label die with a delicate border. I die cut a second label from metallic embossed cardstock in cream. I mounted the Santa image to the metallic die cut and then adhered a white cardstock label on the back too, to add a message. 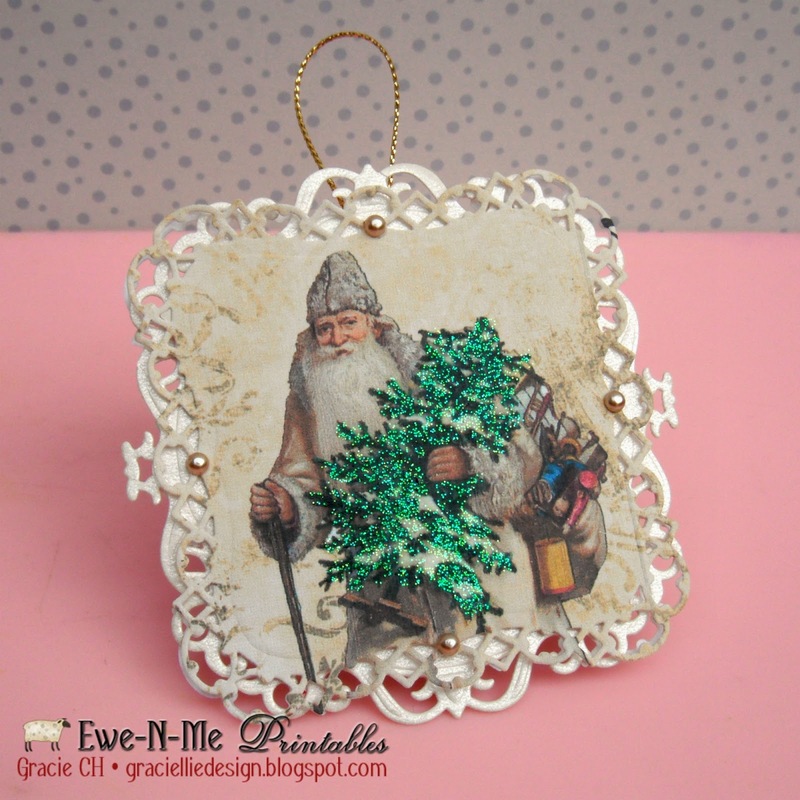 Finally I added glitter glue to the Christmas tree on the image, trying not to wet the paper too much. This framed Santa would certainly look great on a card too! I invite you to experiment with this lovely vintage file and find out what you can come up with! This is stunning Gracie. You are very talented.